Possibly the biggest reason to own a Kinect is the promise of the upcoming Kinect Star Wars title, offering you the chance to prance about being a Jedi without any controllers getting in the way. Who wouldn’t want that? Anyway. 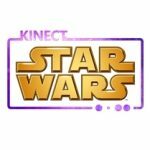 Kinect Star Wars, the game fans have been waiting for brings the Star Wars Universe to life like never before, letting you use the force and battle with a lightsaber using just your body – no controller required. To promote this highly anticipated release Microsoft have teamed up with American comedy actor and “Parks and Recreation” star Chris Pratt to create a hilarious two-minute short film. Donning a bathrobe to battle against Darth Vader in a scene paying homage to the iconic lightsaber duel from Episode IV, Pratt was able to live out the ultimate Star Wars fan fantasy. You can watch the video short just below. Scroll down a bit. Harnessing the controller-free power of Kinect for Xbox 360 and the beauty of 3D graphics soon you will be able to do the same from the comfort of your living room. Using full body motions, , no controller required. Don’t forget you can also share the Force with friends through co-op, competitive and duel modes. Easy jump in and out lets a second player join in on the Jedi action instantly. Sound fun? Sure it does! The video is right here, keep an eye out for more coming soon! Lol. Brilliant… Would’ve been nice to see some game footage but hey, good start! !